If your FICO score is only fair (approx. 650 to 700) then you still qualify for many credit cards. It’s just that you will face higher annual fees and/or worse APR rates, while not really getting premium rewards. The Elite Personal Finance team have reviewed countless credit cards, of all kinds, and we know for sure that there are credit cards that will work for you! So, as you can see there are actually at least a handful of quality credit cards for those who have weak FICO scores. But, there’s only about one card for each category that really excels above the rest. At Elite Personal Finance, our goal is to provide you all with educated rankings on all different types of financial products. We usually grade cards in list-style format, detailing “the top X cards for” and applying that to each card category. However, it is a whole new ball game when you only have fair credit. A score of 650 to 700 means you don’t get preferential treatment. Many card issuers will turn you down just because, and you’re going to have to work hard to find a truly appreciative card that accepts applicants with your credit score. So we have listed each of the credit cards based on who they are best for, it’s up to you to decide which type of card is truly best for you. Get 1% back on all purchases, up to 1.25% back! This is a student credit card that only requires ‘average’ credit in order to get approved. You usually start out with around a $300 to $1,000 credit limit. You can request an increase after five months of paying on time. More increases can come over time, so you won’t be stuck with a low-limit card if you effectively build your credit from here. Even with weak credit, you can get a flat 1% cashback on ALL purchases. You get a 25% boost to your cashback rewards every month you pay on time. Your credit limit can be incrementally increased, so you don’t need to turn to a different card (and potentially close this one) to have more credit availability. You can unlock an unlimited amount of rewards; if you spend $1,000 monthly and pay it back on time, you would have $12.50 in cash-back each month. The higher APR rate makes it hard for students to keep on top of things, but if you pay off your whole balance every month the interest won’t add up. The 20.24% variable APR rate is high, which makes it hard to carry a balance without getting stuck with high interest payments. This card has endless positive reviews and not really any complaints. It’s perfect for students who want to build their credit and we recommend it to anyone with moderate credit. You can qualify for this card with a FICO score in the 650 to 700 range. It is easy to get approved for and you get a lot of credit-building tools with the card. Many students that own this card have successfully built or repaired their credit rating while using it! Get 1.5% back on all purchases, up to 1.8% back! This is a cashback credit card that rewards a flat 1.5% back on all your purchases. You can increase your rewards from a 1.5% rate to 1.8% back by meeting two requirements. Buy something with your card at least once every month for a half-year straight. Receive your cash rewards through an account with Citizens Bank. If both requirements are met, your cash rewards rate will be 1.8%, if one of the two are met it will be 1.65%, and if you can’t do either you’ll just get a flat 1.5% back. There’s also a 9-month no interest period on ALL purchases and balance transfers. You can start out with a lower limit and then increase it higher over time. A flat 1.5% cashback rate is exceptional as typically, for high FICO scores, you’re only looking at 2% back. This is one of few quality cashback cards available to average credit borrowers that has a legitimate no-interest period. The higher APR rate means it can be costly to hold a balance, so you have to be careful to maximize on your cashback rewards. There’s a $39 annual fee which is a little disappointing, but it just takes about $2,600 in spending each year to pay it off. This card is perfect for anyone who is looking to build their credit while also covering mid-to-large transactions on a recurring basis. 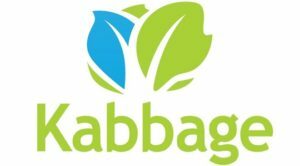 They offer unlimited cashback so it’s just a matter of how much you can spend to decide how much you earn. You might be wondering what the differences. 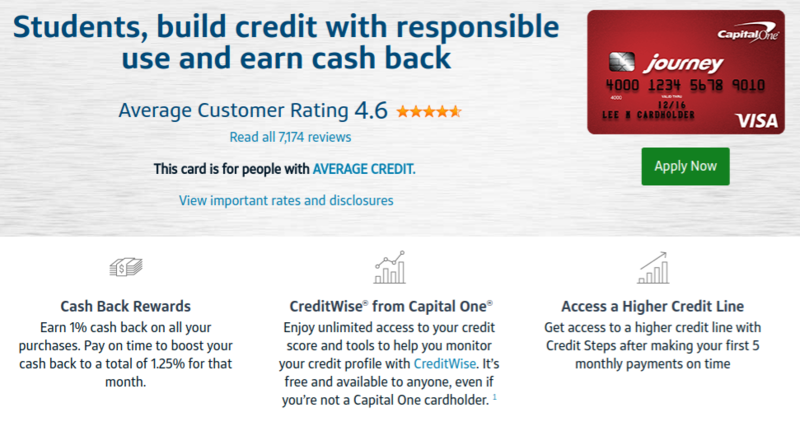 Capital One Quicksilver is a flat 1.5% cashback card that rewards you no matter where you use it. You can also get $100 after spending $500 in the first three months with it. The APR rate is factored by your creditworthiness, but you’re looking at 13.24% to 23.24% as the possible range. The Capital One QuicksilverOne card is also a flat 1.5% cashback card, and it includes shopping anywhere. Both offer unlimited rewards but you can expect a better return from the Quicksilver as it has no annual fee. Meanwhile, the QuicksilverOne card has a $39 annual fee which takes approximately $215 per month of spending to pay off. With that said, if you only have fair credit … the QuicksilverOne is clearly your only real option. But, once your credit rating has improved and you are seen as having ‘excellent’ creditworthiness you can request an upgrade to their Quicksilver card instead. Get 1% back on all purchases, up to 3% back! This card is actually almost perfect for anyone who has average credit because it gives you a minimum of 1% back on everything you spend and up to 3% on certain categories. We view it as the top card for GAS PURCHASES because you get a flat 2% back on all gas station purchases. Getting 3% in cashback rewards is amazing, especially when you can apply it on your Amazon.com orders. You get 2% back no matter where you purchase gas, which makes it possible to shop around for the best price at the pumps. You get a $50 card for Amazon.com as soon as you get approved. The biggest downfall is the fact that you need to shop online (and wait for the mail to come) in order to enjoy the 3% reward. If you don’t have great creditworthiness, you’ll get a 22.49% APR rate which is pretty high so you have to keep a close eye on it. But why an Amazon.com card? Why not — you can buy anything you could ever want, their inventory is even much larger than what Wal-Mart offers online. 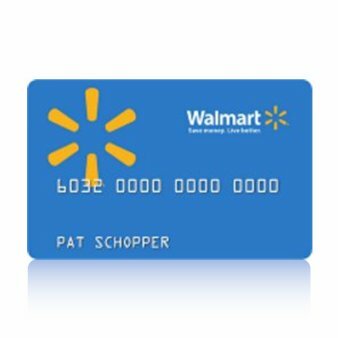 You can get 2% back on gas purchases at participating Wal-Mart gas stations with their card instead, of course, but then again you are limiting yourself too much. Note: If you are a regular shopper at BJ’s Wholesale Club, then the My BJ’s Perk Plus MasterCard is a better option. It not only offers 2% back at all gas stations, but also 10 cents off every gallon of gas purchased at one of their locations. And then, you get an incredible 3% back on everything you spend at their Club store and 1% on everything else. 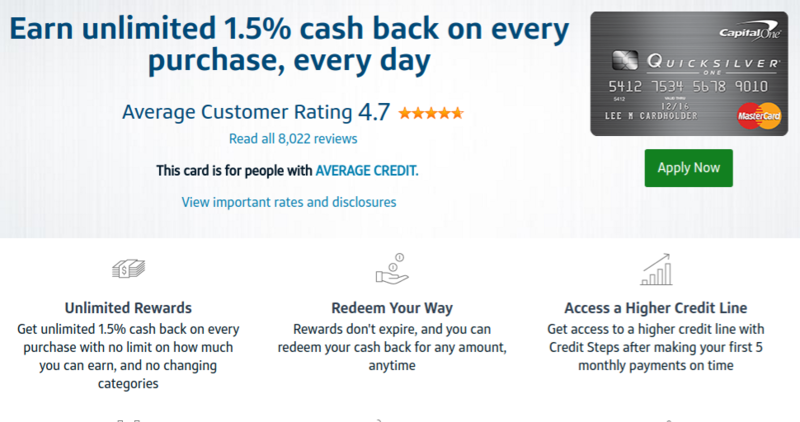 The Amazon.com Rewards VISA has unlimited potential really … and their 3% cashback for Amazon.com purchases is the climax of awesomeness for any borrower with weak credit! If you have a fair credit score, choosing a credit card can certainly be a difficult task. You know your credit will improve in soon time. However, you aren’t sure how long it will be before you get a high-rewards, great APR card, and a mid-ranked card is great for building credit. With all that in mind, there are many questions that consumers think of while trying to figure out what to do. Most of them go unanswered, so we’re covering a lot of common things right now to help you out. If you’re still wondering something, just ask below! What is a fair credit score exactly? You can consider a fair credit rating as one that falls between approximately, although every lender views this term differently. If you have a score above 650 then you should not have any issue applying for the cards on this list. But, there’s still a possibility that you will get rejected because of your ‘lack of creditworthiness’ anyway. Can you get a cashback card with only fair credit? There are many credit cards that offer cashback rewards, even if you’re a fair credit applicant. Some examples include the Amazon.com Rewards VISA and the Capital One QuicksilverOne cards. The main downfall, though, is that your APR rate is almost always higher than it would be with a standard card. Since all fair credit cardholders get unfavorable rates, this is a non-issue. There are many store cards out there and quite a few are willing to accept applicants with average credit ratings. The majority of these are Comenity and Synchrony Bank cards. While most come with lower credit limits, higher APRs, and the occasional sky-high annual fee, they are effective for those looking to build their FICO score up from the bottom. With that said, some store cards are better than others. We find some of the best retail cards to include the Amazon.com Store Card & Amazon.com Rewards VISA, the Wal-Mart Store Card, and the Toys R Us MasterCard. It all really boils down to how you shop — and where. We wrote about this subject before, and there’s no final answer. It all boils down to what your credit status is like and how you intend to shop with your card. But when just starting out, you only need one or two credit cards. In fact, you do not want to jump into a bunch of cards right away. It will mean you have less availability for better cards down the road. You are better off using your lesser card as a way to establish better credit, and then you can enjoy reap the rewards of multiple cards. You can read our post ‘How Many Credit Cards’ to get more info on this subject. How many credit cards should you apply for? Your FICO score will get a drop from the hard inquiries that are made on your report. You are better off applying for any cards you are interested in right away instead of spacing them out over a few months. Just be realistic as to which cards you can get approved for and there won’t be any issues either way. The inquiries have a negligible effect on your score after a few months, and the hard inquiries drop from your credit report (and score) fully after two years.